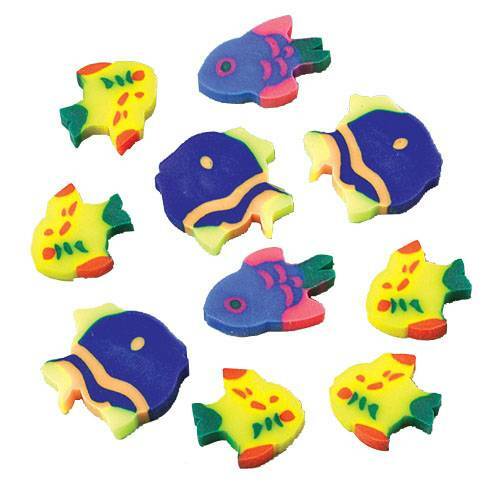 This fish shaped eraser is perfect for correcting small mistakes. These mini erasers are perfect for a classroom goody bag or to hand out at a church or school carnival. 144 Pieces per unit.